Governments at all levels are charged to deliver services to all the inhabitants of their respective jurisdictions, and, 17 years into this millennium, technology affords society the ability to provide these services in a more efficient manner. However, with advancements in technology come levels of understanding about using this technology properly. This is a question many governments find themselves attempting to answer regarding using or implementing social media to support society but specifically to the senior citizen population. What social media platforms should government officials use to disseminate information to the senior citizens? What information about which services should be disseminated via social media platforms? The advancements in technology have overwhelmed society with countless social media platforms. I am not advocating any government agency hire a full time social media team to manage their social media messaging. They would likely have to hire a few full-time individuals to manage just the above ten sites, not to mention the dozens of other sites not listed here, to ensure their agency’s message was disseminated on as many sites as possible. So, then the question becomes which social media sites should governments use to either disseminate crucial information (such as weather alerts or traffic conditions) or even general information? Which sites should governments use to provide other public services? These are questions our leaders both elected or hired must answer to provide public services in the most efficient manner possible. In North Carolina, where I work and reside, the two most popular social media sites the governments use to disseminate information on a variety of topics and issues are Facebook and Twitter. I am sure governments use other social media sites to disseminate information and provide services but I am not up to date with those sites or agencies. C.J. Hutto and colleagues in a 2015 Web Intelligence article titled “Social Media Gerontology: Understanding Social Media Usage Among Older Adults”, assert the percentage of older adults using social media has increased substantially in recent years, yet little research has been done to understand the foundations underlying social media technology usage by older adults. Such an understanding is useful for developing intelligent user modeling and personalization techniques speciﬁc to this growing community. Governments that can understand these foundations of underlying social media usage by senior citizens will be better able to determine which services or messages can be disseminated to the population on the specific social media platforms the senior citizens are using. Governments have several tools to assist them with gaining a better understanding of these foundations at their disposal, the first tool that immediately comes to thought is conducting a survey. Governments can conduct surveys in several different ways: dissemination of survey on multiple social media sites, telephone surveys, mailed surveys and possibly door-to-door surveys. 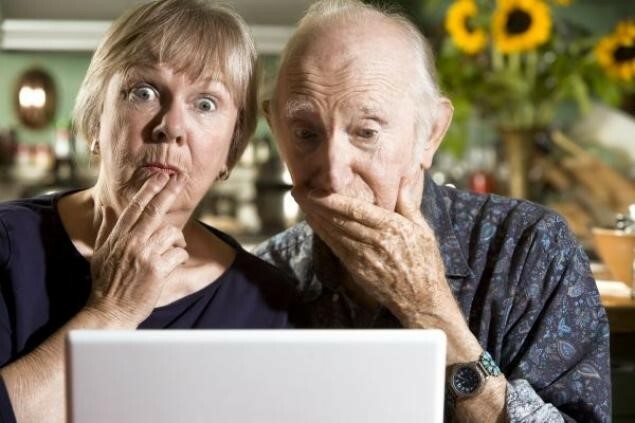 The goal of this survey is to attempt to ascertain the number of senior citizens using social media and which sites they are using as well as their frequency of usage. Collecting and analyzing this information will better assist government leaders in determining the type of information that can be disseminated on the appropriate social media sites that will be the most benefit to the senior citizens. Hutto and colleagues further assert that social media technology has the potential to facilitate social connectedness among older adults who otherwise might be physically or geographically isolated from family and friends. Governments can reach a larger portion of the population by using social media to disseminate information. Social media is much more convenient and faster than newspapers, radio or even news stations as most senior citizens have smart phones now and subsequently they are using social media for a variety of reasons. Social media is an opportunity for governments to reach a larger audience with their information and services being provided than in decades previously and it opens more opportunities for future growth in providing services and communication with the senior citizen population. Governments can be more transparent by using social media with the senior citizen population and can continue building and strengthening the relationship between government and the senior citizen community. Author: Jeffrey R. Zimmerman Ph.D. in Public Policy and Administration from Walden University. I am currently serving as a Social Science/Education Research Associate for the North Carolina Justice Academy and as an adjunct professor in the MPA program with Strayer University. I can be reached via email at [email protected].